Doughnuts aren't the only things I eat when under the weather. The times when I need nutrients the most are the times when I indulge my sweet tooth because it's tiring being healthy. Since I'm still in cut-back and rest mode, I finding ample opportunities to explore my neighborhood's sweeter side, like the chocolate chip cookies from Van Leeuwen. 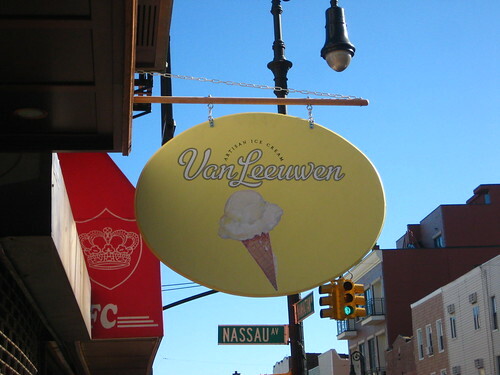 I haven't had Van Leeuwen in a while, and I know full well that they are now serving doughnuts at the Greenpoint store-it's on my to-do list. When I stopped by yesterday fresh from my very first CSA meeting, there were no doughnuts, but I did spot some chocolate chip cookies for $2. They're love of Michel Cluizel chocolate is still in full effect as it's used in all their homemade pastries. The flours are also locally grown and milled. 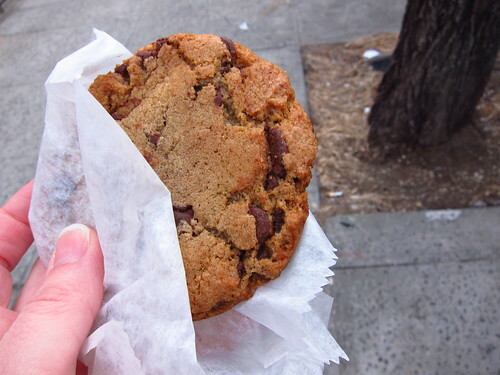 The homemade quality is apparent from your first bite, the cookie was chewy and fresh-perfect for a little ice cream sandwich. What I found interesting was the degree of sweetness, it was almost bordered on salty. It was refreshing to have a great cookie that wasn't cloying. If you're one who likes chocolate chip cookies, but always finds them too sweet, you need to check these ones out. On sick day #2, I made a vain attempt to work only to be sent home within an hour. I'm a silly girl. Desperately in need of some tea for my journey, I stopped by Long Island City's Sweetleaf, and saw that they have cinnamon puffs! 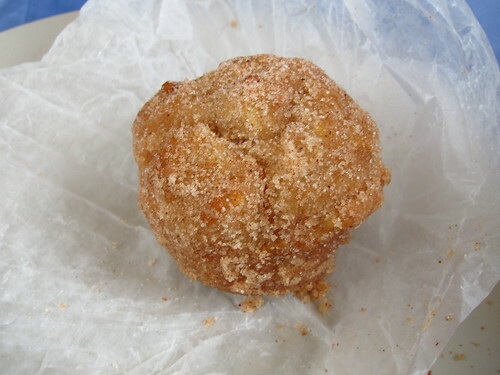 Balls of dough coated in cinnamon sugar, that'll make me feel better! The dough was fluffy and soft, the cinnamon was spicy, the sugar was sweet, and I was happy.